Dr. Nicole Tacoma, Psy. D., LLP earned a Psy. D. in 2011 from The Michigan School of Professional Psychology. 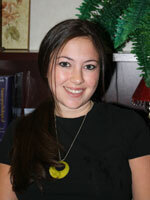 At Renee Applebaum, Ph.D., P.C., Dr. Tacoma works as a Psychometrician. This involves administration and scoring of comprehensive neuropsychological test batteries. Outside of Renee Applebaum, Ph.D., PC, Dr. Tacoma devotes her time professionally to the provision of psychotherapy and assessment of children and adolescents. Dr. Tacoma’s expertise involves assisting children and adolescents dealing with grief and loss issues, anxiety, and other behavioral problems. Additionally Dr. Tacoma performs psychological evaluations for cognitive impairment, learning disabilities and giftedness. Dr. Tacoma is a member of the Michigan Psychological Association.